Jeff Pulver believes that we are experiencing the first stages of a major communication revolution. What many people today refer to as “Social Media” he believes is really a primitive for a new way we will communicate in the future. In fact, the systemic effects of the advent of social media will be felt for a long time after the term “social media” is no longer trendy. This morning I attended a Classroom 2.0 Elluminate session with Jeff O’Hara, the founder of Edmodo, an online tool that allows for real-time interaction between teachers and their students as well as asynchronous communication in the form of assignments and media posting (videos, links, etc…) This ‘communication revolution’ is real. 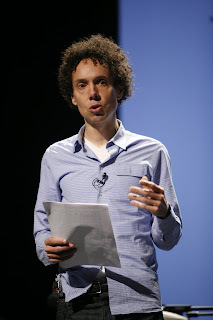 I’ve also been listening to the audiobook of Malcom Gladwell’s, The Tipping Point. I saw his keynote address at ISTE’s NECC 2009 in Washington, DC and was intrigued by some of his points and always meant to pick up the book. So far, it has gotten me thinking about this communication revolution in relation to his discussion of how information is disseminated through a population. He also talks about Information Specialists, or Mavens, people who are ‘pathologically helpful’ when it comes to sharing information. While the example he gives refers to supermarkets and people who keep track of prices and therefore keep supermarkets in check, we live in an ‘Information Age.’ I am always amazed how quickly people are willing to seek out information for me on Twitter. Often, complete strangers! There are also those people, it seems, whose sole purpose is to provide as much information to people as possible without expecting anything in return. Just like Connectors, these people have a much farther reach due to the social networking tools available to them. I enjoy references to Gladwell's work. I always wonder about the Tipping Point for our education system. I have never thought about this in reference to social media and communication. The idea of figuring out who the Mavens are is fascinating. I definitely have a few people who come to mind when I think about it. I think you should grab Gladwell's book Outliers as well. I read it this summer and I am certain that I would love to be in a school that is considered an outlier. I think it would be one that would be filled with Mavens. I am definitely thinking about the TIpping Point for education as we know it. I feel that we may be close to one with all of these changes and our current economic and political environment. I definitely have wanted to pick up Outliers as well for a while, and have it on my to-read list in my Goodreads library. As far as Mavens go, I am glad to be connected to so many! I'm excited, too! It's going to be a fantastic time in NYC! Its so exicting or new era to educate people.